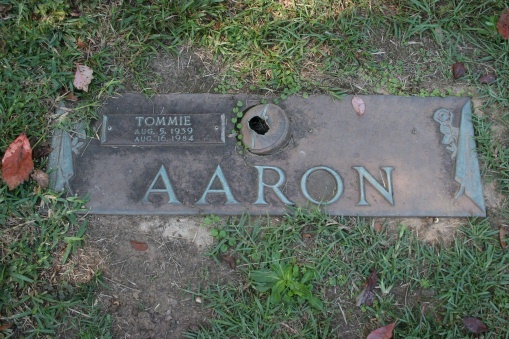 Tommie Lee Aaron (August 5, 1939 – August 16, 1984) was a first baseman and left fielder in Major League Baseball, and a younger brother of Hall of Famer Hank Aaron. They were the first siblings to appear in a League Championship Series as teammates. Born in Mobile, Alabama, he was signed by the Milwaukee Braves on May 28, 1958, at the age of 18. 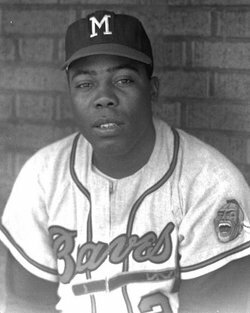 He played for both the Milwaukee Braves (1962–1963, 1965) and the Atlanta Braves (1968–1971). During the course of his development as a player, Tommie Aaron played for the Richmond Braves of the International League in the mid-1960s, where he was International League MVP in 1967. After his playing days, he worked for the organization as a minor league manager (1973–1978) and major league coach (1979–1984). Aaron hit a total of 13 major league home runs, with eight of them coming in his first year of 1962, but along with his brother’s then Major League record 755, they hold the Major League record for the most career home runs between two brothers (768). The only other brother of a 500-home run man to play in the majors was Rich Murray (brother of Eddie Murray), who hit four home runs in a brief major league career. Aaron finished his career with a lifetime batting average of .229, 13 HR, 94 RBI, and 102 runs scored in 437 ballgames. 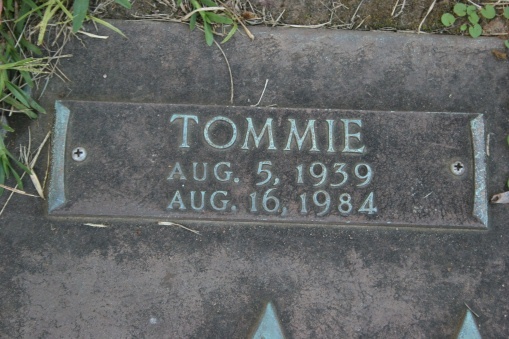 He died of leukemia in 1984 and was buried in the Catholic Cemetery of Mobile, Alabama.